A recent Royal Society review of global scientific collaboration9 notes that “the challenge of measuring the value of science… faces all the scientific community” p25. For INASP part of measuring this value is in considering the inputs into science, and in particular research, in developing and emerging countries. 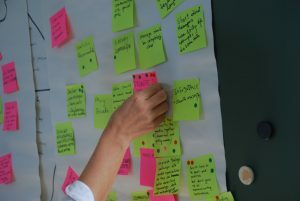 Understanding if and how financial and policy commitments to research change over time might offer us some useful indicators of the health of the research sector in the countries that we work with and help us in our work to tailor research capacity support to each country’s context. We are particularly interested in understanding these issues in the context of developments over the last 10 years and then looking forward to the next 10. How has the environment changed since INASP has been working extensively in research sector strengthening? What are the wider trends and likely developments? This article draws together some of the recent documents in this area as a starting point for discussion. What don’t we know about funding and policy commitments to research? There is a lot we don’t (and currently can’t) know about commitments to research. On the demand side, UNESCO notes that “despite the increasing presence of developing countries in global R&D, there is still a marked lack of demand for science, technology and innovation indicators from policy-makers in developing countries”10, p7. This is one of the underlying factors found in a review of the use of scientific and technical evidence within the parliament of Uganda20 which reports that—despite interest amongst MPs—science, technology and innovation (STI) did not get much attention on the floor of the house and the STI Committee had low visibility within parliament. The UNESCO report goes on to say “Even if the demand does exists, there are often significant problems with compiling the data due to a lack of coordination at the national level, a lack of cooperation by research institutions, universities and businesses, and a generally weak statistical system in the country”10, p7. This supply-side problem is echoed in the World Science Report which says that there is a “lack of up-to-date, reliable data and indicators on the current status of S&T”21, p287. The data that are there though are not simple to relate directly to research. Generally they tell us about ‘science, technology and innovation’ or ‘research and development’ as a whole and “Expenditure on research and development… is a commonly used, yet largely unsatisfactory proxy for science (and/or research). A large proportion of ‘research and development’ is spent on D rather than R”9, p18. Even where there are data about the university and research sector, the increasing number of private universities and the variety of funding mechanisms also hinders accurate and complete data collection. Other challenges to the reliability of data for developing and emerging countries are that where there are only a few research centres there might be “volatility and inconsistencies”8 in data as they open and close, gain or lose funding, or start and end projects. Funding sources are also variable with foundations, NGOs and other external funders coming into play alongside internal government funding8. How data is collected is also problematic. For example, double counting might occur if a mixture of survey data and national budget data are used, and estimating the number of researchers is difficult when salaried researchers may not have budgets, people may undertake research on an unpaid basis, people may undertake research alongside teaching duties making true estimates of time spent on research difficult to record, and research may take place between national and international institutions. Policy commitments can also be difficult to find and compare. For example, in Asia, the open access Asian Network for Science, Technology and Innovation Policy5 says “Currently, however, the STI statistics, activities, and policies of the region’s countries are very difficult to access comprehensively and compare meaningfully” and their website reflects this in the lack of links for STI policies in most countries. Similarly, the Science and Technology Policy Asian Network15, under the auspices of UNESCO, was set up in 1988 but there are no published updates apparent beyond 2008 and their website is not currently accessible. UNESCO summarise the difficulties and their possible consequences saying “developing countries differ in their production and dissemination of, and access to information, subsumed in the term “culture of information”. This may manifest as a lack of demand for information by policy-makers and other users or an unwillingness or inability to provide information by research institutions, universities and businesses. If R&D is deemed unimportant for policy planning, its measurement is likely to be considered a low priority as well. Likewise, a weak measurement of R&D will also make it difficult to present a strong case for investing in R&D”10, p10. For INASP’s work, these issues mean that assessing financial and policy inputs into research to allow us to understand particular country contexts, to make comparisons between countries, or to consider trends across time is currently difficult. What do we know about funding and policy commitments to research? We know that spending on research and development is comparatively low in Africa, Asia and Latin America. A standard measure for this funding is the ratio gross domestic expenditure on research and development (GERD) as a percentage of Gross Domestic Product (GDP). United Nations figures6,7 indicate that it was 0.4% in Africa and in Asia (excluding Japan, China, India and Israel) and 0.7% in Latin America and the Caribbean. For comparison, the ratio was 1.8% for the Newly Industrialised Economies in Asia, 1.9% in the European Union, and 2.7% in North America. It is also notable that whilst there had been a 0.1% increase since the 2007 figures for Latin America and the Caribbean, the ratio remained static for Africa and the less economically developed countries in Asia. In INASP’s immediate experience though, there have been significant increases in financial commitments by countries in Africa, Asia and Latin America in, for example, purchasing of journal subscriptions for research. At the beginning of our Programme for the Enhancement of Research Information in 2002, subscriptions to journals were funded entirely from donor programme funding. In 2012, the subscriptions were paid for by the countries themselves. This amounts to a commitment of over UK£1 million by 22 partner countries. Another positive sign is increasing awareness of and commitments to addressing the problem of low levels of funding. In Africa, the first African Ministerial Conference on Science and Technology reaffirmed a commitment (originally made in the 1980s) to spend at least 1% of GDP on R&D by 2010. The 2010 African Innovation Outlook report2,p23 reports that Malawi, Uganda and South African have now exceeded this level, though the other participating countries range between 0.2% and 0.48%. Some African countries are even more ambitious, with Rwandan government setting a target of 3% of GDP invested in R&D. In Latin America, only Brazil, Cuba and Venezuela exceed the 1% of GDP benchmark9, p37. We know that researchers from Africa, Latin America and Asia are under-represented as a percentage of the number of researchers globally8. Sub-Saharan Africa has 2.1% share of the world’s researchers and only 0.5% if you exclude South Africa. Latin America and the Caribbean have a small but growing percentage—3.0% in 2002, rising to 3.8% in 2009—as has Asia (excluding Japan, China, India and Israel) with 1.6% in 2002 and 1.9% in 2009. Researchers are also few in number with just 140 researchers per million inhabitants in sub-Saharan Africa, 186 per million in Asia and 453 per million in Latin America and the Caribbean. In Europe, North America and Japan the figures are 3059, 4653 and 5180 researchers per million, respectively8. We know that the necessary strong links between national research policies and economic and social development policies are frequently lacking. The African Union identifies problems due to “Weak or no links between industry and science and technology institutions, a mismatch between R&D activities and national industrial development strategies and goals”3. Similarly, the World Science report states that “S&T systems in Latin America are characterized, with some exceptions and nuances, by a lack of strong links and poor co-ordination between the public R&D sector – encompassing universities mainly – and the business sector” and that the academic sector is “relatively isolated from society” 21, p78. Whilst links between and institutions for policy are weak in many countries21, p287, there are signs of increasing policy commitments. For example, countries in African are working with UNESCO to strengthen policy, with 14 countries asking for assistance with science policy reviews in 2008. There are over 40 ministries in Africa that have a specific responsibility for STI 21, p318 and in 2005, the African Union and its New Partnership for Africa’s Development (NEPAD) adopted Africa’s Science and Technology Consolidated Plan of Action, 2006-2010 that “articulates Africa’s common objectives and commitment to collective actions to develop and use science and technology for the socio-economic transformation of the continent and its integration into the world economy” (though there have been reported problems1 and the World Science Report21, p297 comments that “several donor agencies are disappointed with progress, with some even going so far as to declare [the Consolidated Plan of Action] dead”). Similarly, countries in Asia and Latin America are working within national science policies and documentation and commentary can be found relating to each set of countries. We know that it is possible to access some useful statistics, for example from UNESCO19, about the number of male and female full-time equivalent researchers, where those researchers work, what percentage of the labour force they make up and about investment in R&D and where that money comes from, for all but three (Bangladesh, Nepal and Viet Nam) of the countries participating in PERI. So, it is possible to access data about funding commitments to general research and development in the countries that INASP works with most closely. It is also possible to access regional, national and institutional policies on science, technology, research or Information technology for most of those countries and regions. Despite the availability of these raw facts and figures and of policy documents, building an accurate understanding of commitments to and investments in research is no simple task. There are frequently complex and changing policy structures and plans, and scant information on how effective those policies are in building research and science capacity and outputs. Those sources of information indicate that there is a general trend of increasing allocation of funds and development of supporting policies in many countries but that there are few partner countries (with the possible exception of Pakistan12,14)where we have evidence of a coherent and effective policy and funding environment for research. What should INASP do next? 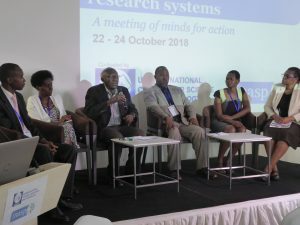 Through its direct work with partners in developing and emerging countries, INASP has access to useful and reliable data about if and how access to research journal collections is funded and to institutional policies on research, information, IT and libraries. We gather regular feedback from partners and carry out or commission small research projects13 to help us to better understand the context. But direct collection of primary data on national and regional funding and policy commitments is beyond INASP’s scale and outside its mission. 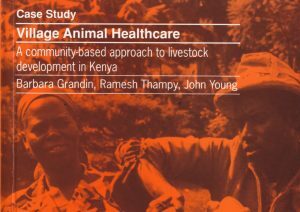 There is though a continuing and increasing global effort to understand these issues and their implications for development is starting to provide access to more reliable, complete and up-to-date information. For example, in Latin American Red de Indicadores de Ciencia y Tecnología—Iberoamericana e Interamericana13 was set up in 1995 to “promote the development of instruments for measuring and analyzing science and technology in Ibero America, in a framework of international cooperation”. 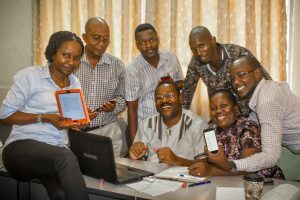 In 2007 the African Science, Technology and Innovation Indicators4 initiative has started work with 19 countries—including Ghana, Kenya, Lesotho, Malawi, Mozambique, Tanzania, Uganda and Zambia from amongst INASP partner countries—to improve the measurement of STI . In 2010 they published the first African Innovation Outlook2. The number of participating countries is planned to rise to 28 and from 2013 the next report, containing data up to 2012, is due out soon. Therefore, even with the limitations set out in this article, INASP could work to combine its own knowledge and data with the data collected and made available by others. We would really welcome your thoughts about this article and suggestions for our next steps. If INASP did collate this information and data, would it be useful in your country or context? Do the challenges set out here apply in your country or context? What experience do you have of overcoming some of the challenges? What data do you know of that could help us understand the financial and policy support to research in your country? Who else is working in this field? All files accessed between 13th and 22nd March 2013. Martin Belcher is the former Director of Impact and Learning at INASP.